Today I a made trip to Crafty Planet. 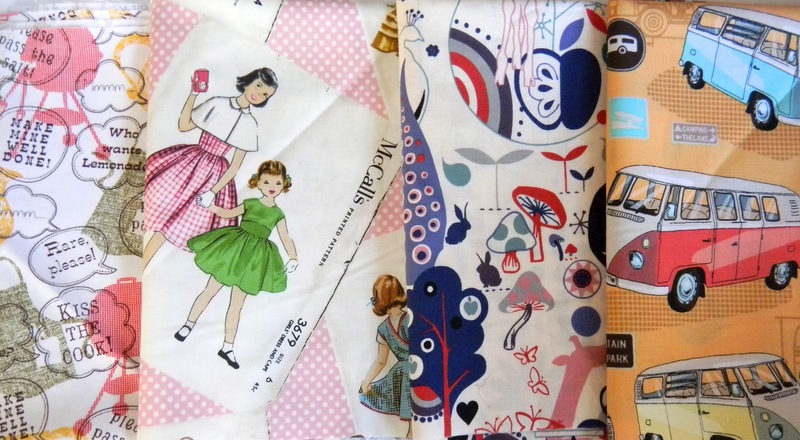 It is a cute fabric shop with lots of fun fabrics. These are a couple of the fabrics I purchased. Lately I find myself gravitating towards the novelty fabrics. Don't know what exactly I will be doing with them yet! I'll certainly let you know when I figure it out. Wonderland Tea and Vintage VW. Visiting from the 300 blog hop! I love novelty fabric too, so fun. Your Etsy shop is cool, I like your side widget. I am a new follower from the 300 hop. Have a great weekend.